Have you ever loved someone so much that when the relationship ended, you followed them everywhere believing they'd eventually come back? In this day and age, it's called "stalking." And even the most harmless form of stalking can still be hurtful. 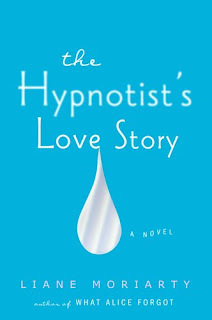 Liane Moriarty explores this concept in her latest novel, "The Hypnotist's Love Story." 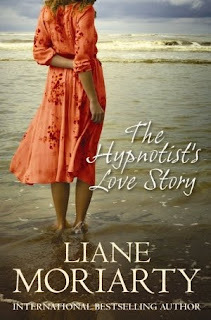 Ellen O'Farrell is a hypnotherapist, which is different from the hypnotists who make people do silly things for entertainment value. She grew up without a father, being raised instead by her mother and two godmothers. And her relationships have fizzled just as soon as they were really starting to take off. When she meets Patrick and he tells her he has something important to discuss, she expects the worst. So the news of his stalker ex-girlfriend doesn't faze her. She instead becomes intrigued and wants to meet her. However, she will soon learn that she already has. 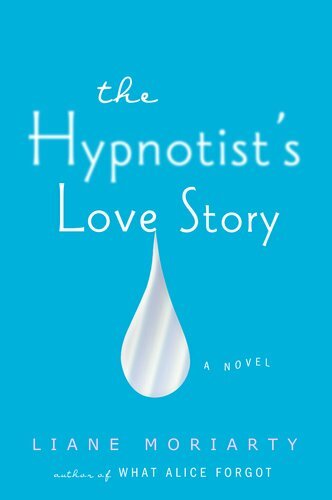 After falling in love with "What Alice Forgot" last year, I went into "The Hypnotist's Love Story" expecting only greatness. Thankfully, I was not disappointed. Ms. Moriarty really knows how to tell a story that captivates her audience and makes us want to keep on reading. The dialogue is natural and flows throughout. The inner monologues are interesting and keep the story going. I really liked that she included Saskia's perspective, even though she was considered to be "the enemy." Saskia was like any jilted lover who didn't get closure and wanted a second chance to make things right. However, she doesn't know her boundaries, which makes her chances slim to none. And yet, like Ellen, you end up feeling sympathy for Saskia! And Ellen is so well defined that it's easy to sympathize with her too, especially as she gets deeper into her relationship with Patrick. I liked all the secondary characters in the story, as well. The three moms made me think of the women in "Mamma Mia" and I kept waiting for them to break out into song. Patrick's son, Jack, had a strong role in the story, as well. And Ellen's best friend, Julia, was a lot of fun to read about. Even though she had a small role, she still managed to stand out. I had two wishes for this story though. One was that Saskia's identity wasn't revealed as soon as it actually was. I enjoyed how Ms. Moriarty kept me guessing in the beginning as to who she could possibly be, and there were so many possibilities. I loved the game of cat and mouse. However, having her identity stay secret for Ellen for much longer might have changed the story drastically. I could see it going a lot of different ways and still ending up at the same climax. I also would have liked to read Patrick's perspective instead of just seeing it through both Ellen and Saskia's eyes. It also would have been nice to have more detailed descriptions of the characters. I had a hard time visualizing them sometimes. I know Ms. Moriarty did provide clues to what they looked like, but the images were all fuzzy to me. If you're someone who has more creativity with visualizing characters, this should not be an issue for you. The places were described perfectly and I could easily picture houses and other locations they visited. 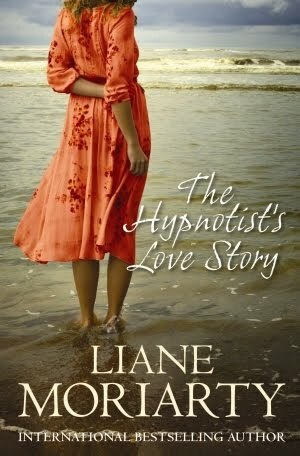 "The Hypnotist's Love Story" was another delightful treat full of surprises, even when there were some darker moments. I can't wait to see what Ms. Moriarty comes up with next, as it's sure to be just as creative! A warmly humorous, gently poignant, ultimately comforting tale of frustration and redemption...Moriarty writes with both a frisky wit and a generosity of spirit that’s truly disarming…It will make you feel warm all over.